How strict are you when it comes to making things? Do you make sure that you are strict about finishing one thing off before starting another? Or do you have many different things on the go at any one time? I would say I try to fall into the former but end up being in the latter. I really want to get into the habit of finishing things off before moving on because otherwise things tend to get forgotten in a pile and clutter up my flat! I’m trying to be strict about starting anything else before finishing off my quilt, but looking at the quilt makes my sewing motivation evaporate! So I am feeling a little guilty about starting this – but well, does a toile count? So, if you haven’t already realised, I am the queen of excuses – I should have called this blog ‘Procrastinator extraordinaire’! 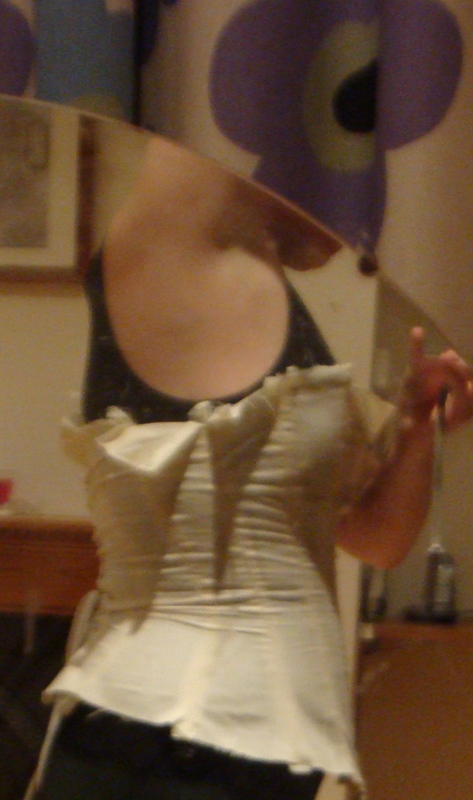 So here are the finer details – Pattern: Truly Victorian TV110 – 1880s Late Victorian Corset. I chose this pattern because it is one of the few corset patterns out there that caters for the larger bust. This is a multi size pattern that goes up to a DD cup. I also wanted an overbust pattern. Corset Toiles are pretty quick to make up and are a must. I’ve been reading ‘The Basics of Corset Building” by Linda Sparks and as somebody new to corset making, I have been finding it pretty indispensible. I made up the toile using calico and cut out 1 pair of each pattern piece. Because I’m not inserting a busk into the toile, I just sew the front section sewn together using the required seam allowance. You don’t need to put a busk in just to check the fit. However, without a busk, it makes it much harder to put it on. And if you are wondering why I’ve chosen to put eyelets into the back even though it is a toile, my intention is to rip that section out at the end and keep it for any future toiles. As per Julia’s great tips! 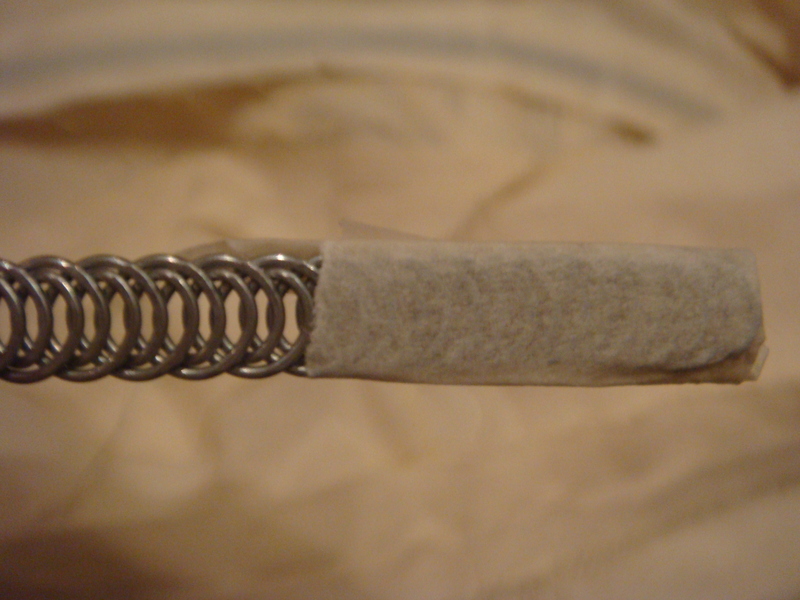 I absolutely love my Prym punch pliers or whatever they are called! Good news, it fits! Although it’s sort of difficult to tell how well it fits as it is has no bones. It fits over my bust (hoorah!) 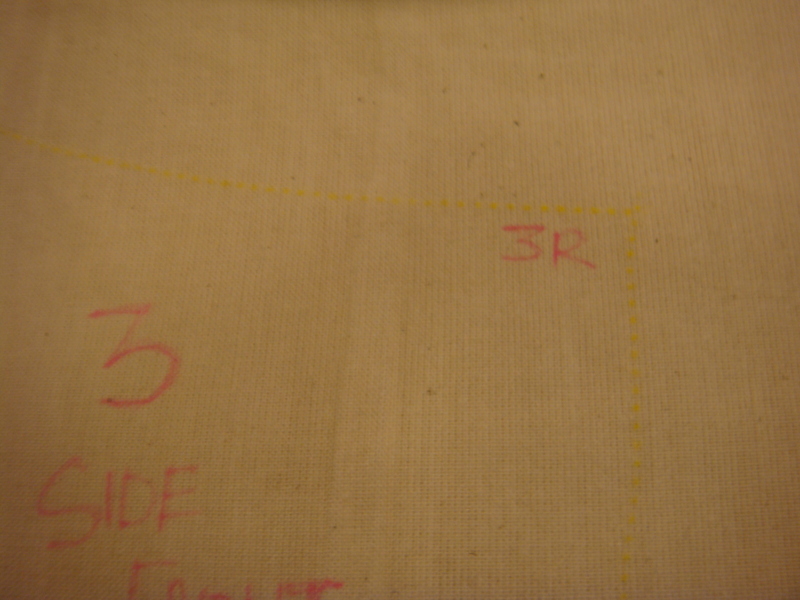 but it’s quite a low cut pattern and so I will have to extend a little upwards to make it a little bit more modest. And as i’m a 5 foot 10.5 inch girl, I may have to add an extra inch at the bottom. I added the bones to assess the fit – I don’t want to sew my bones into the toile but I do need to see what it fits like with the bones in, so in order to do that, I use masking tape to tape the bones to the toile. Another little tip is to cut the bones a little longer and tape the ends up just in case you think you may need to lengthen the corset. 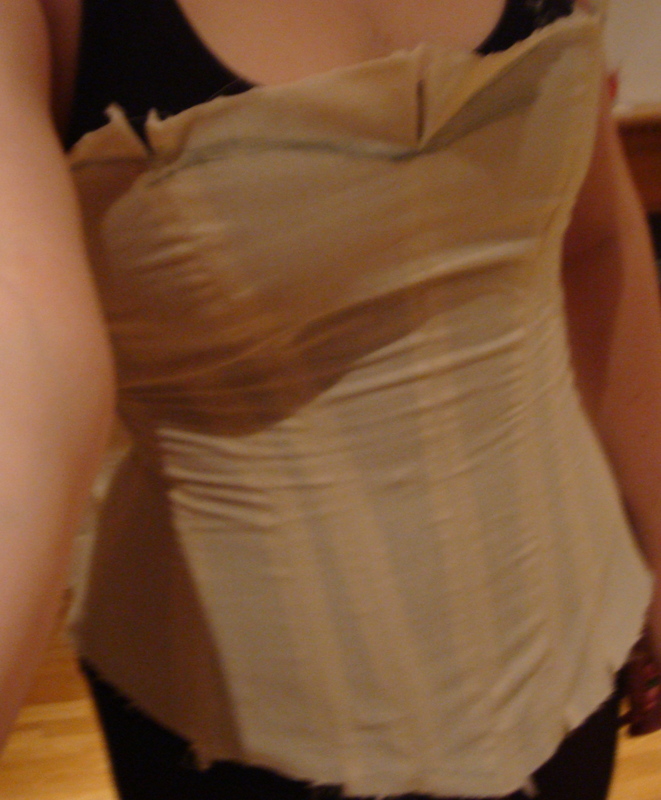 Then you can trim and put the caps on when you’re ready to do the final corset. From the front: I’m quite happy with the front. It looks pretty smooth and it seems long enough at the top and bottom (I had actually added extra to the seam allowance when I cut the pattern pieces originally). There is a little wrinkling under the bust, but I’m hoping this will disappear when I put the busk in. It looks like it’s coming along really nicely. Can’t wait to see the finished product. wow- i love the look of this pattern- it really suits you. that’s a bit of a bugger about the fit at the back- i’m sure you’ll figure it out. what are you thinking fabric wise for the final version? on the topic of procrastination, i’ve made so many dresses and haven’t even finished my first corset 🙁 i think the buisiness of having to re-cut everything after thinking i was so close to finishing was the sticking point. 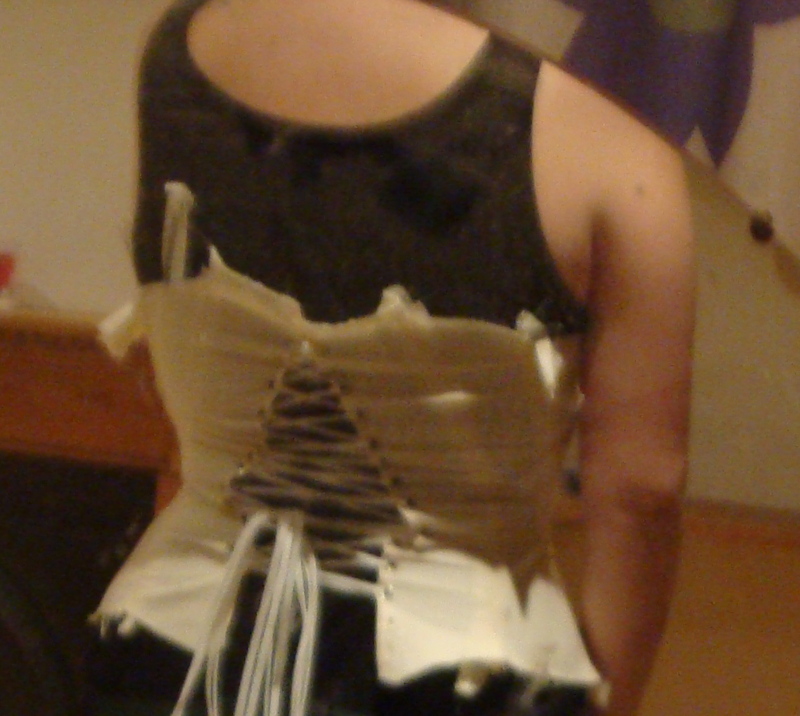 Ah Flo, I hope you finish your corset soon! I think it will look amazing!! I have an idea of what might be causing my fit issue – I think it’s too big in the bust which is why I can pull it in so much at the back. I agree though, the thought of re-cutting things always puts me off doing things! For fabric I’m thinking of some lovely Blue floral sateen I bought from Julia. 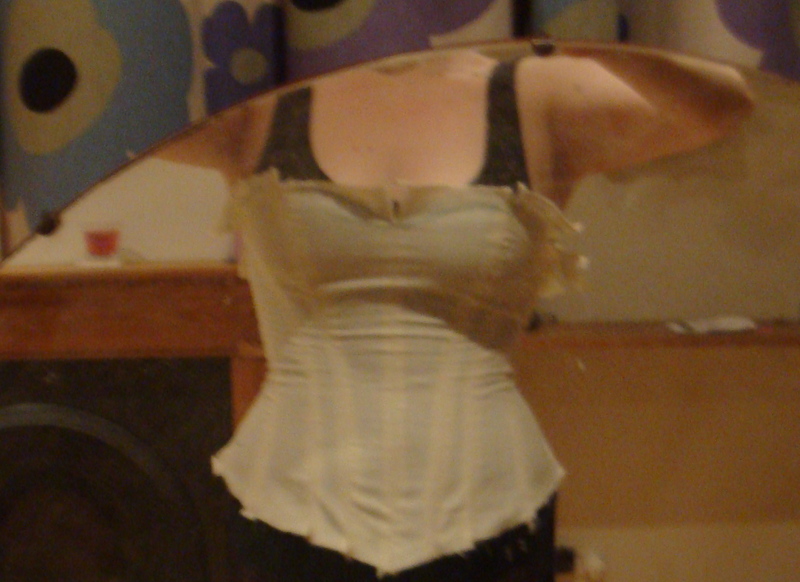 I know nothing of making corsets, so cannot give you any advice, but it looks pretty good so far! 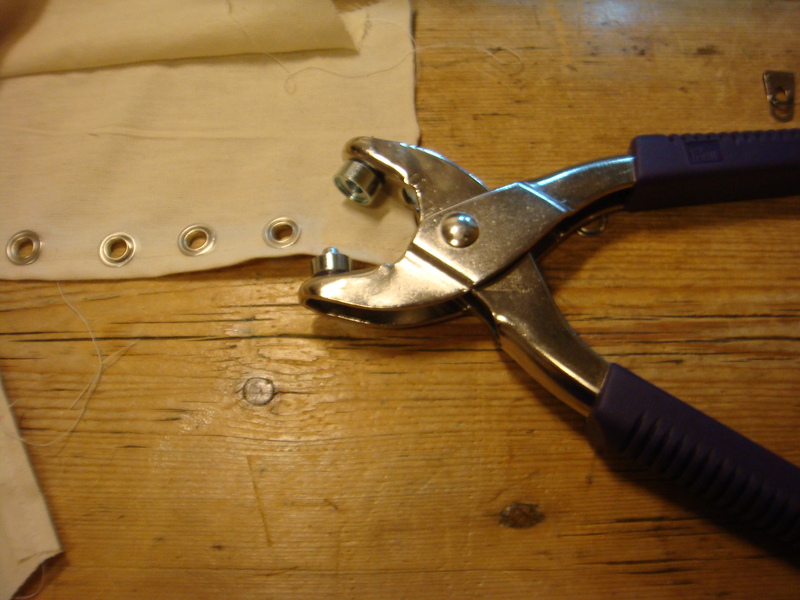 forthe back – when fitting the toile, made 2 channels for steels and pop them in, this keeps the back seam straight, which is what it will need to be. also, for the boning (spiral boning) you could sew the seam allowance together to make channels, then you wouldn’t need to stick the boning to the toile with masking tape.